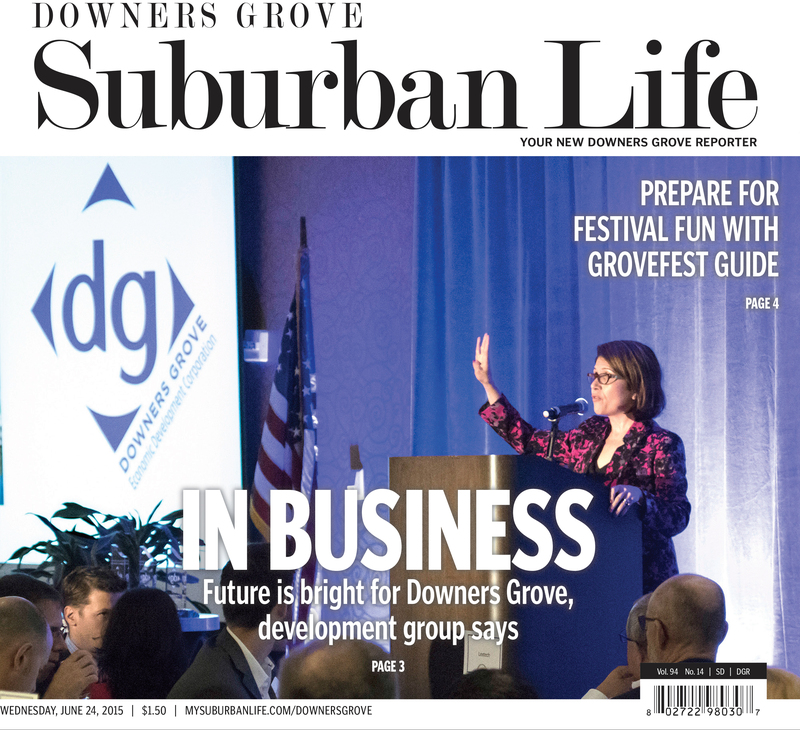 DOWNERS GROVE – The state of business in Downers Grove is healthy, according to an annual report presented during the Downers Grove Economic Development Corporation luncheon June 18 at the DoubleTree Suites. Michael Cassa, president and CEO of the corporation, delivered the report, during which he highlighted companies that have come to Downers Grove, as well as new business openings. Several companies have relocated their corporate headquarters to the village, Cassa said, including Sanford LP, Glanbia Performance Nutritions, Addus Home Healthcare, American Casualty Insurance Co., Arco/Murray, Lextech, Residential Home Health, CompuSystems and Katherine Frank Creative Inc. He also highlighted how Fresh Thyme Farmers Market not only opened a new store in Downers Grove, but will also relocate its corporate headquarters to the village in a few months. Other new businesses that opened in the village include Angelo Caputo’s Fresh Market, Lamborghini of Downers Grove, Starbucks, McDonald’s, Jersey Mike’s Subs, Michaels, Dickey’s Barbecue Pit, Harbor Freight Tools and Art Van Furniture. Among expansions of existing businesses in Downers Grove were Neuco Inc. and Valid U.S.A.
Cassa also praised the Downers Grove Park District for its decision to purchase land at Walnut and Ogden avenues. That land, he said, will be set aside for future sports field development. Cassa said the land would be an “ideal site” for sports tournaments to bring tourism to the village. Lt. Gov. Evelyn Sanguinetti was the keynote speaker for the luncheon. She laid out some of the goals she has for her time in Springfield, including five “compromise bills” that Gov. Bruce Rauner’s administration hopes to pass. The bills focus on executing workers compensation reform, tort reform, redistricting reform, term limits and a two-year property tax freeze. Sanguinetti said new redistricting policies are essential because in their current form, legislators can choose their constituents by changing district boundaries. “We need to redistrict our maps so it’s fair and the people can pick their leaders again,” she said. Sanguinetti also pushed for the property tax freeze, saying she knew it would be a hard sell to the General Assembly, but that it was essential to keep people in Illinois. “A lot of people are moving out of the state of Illinois because they feel their [home] values are going down and their taxes are going up,” she said. Sanguinetti also wants to look at ways to consolidate units of government to save tax dollars. Also during the luncheon, David Olsen, village commissioner and mayor pro tem, presented the 2015 Cornerstone Awards. Mayor Martin Tully had a work commitment and could not attend. The Cornerstone Awards are given to businesses that have completed impactful economic development projects in Downers Grove in the last year. The three awards were presented to Bentley/Lamborghini of Downers Grove, Lextech and Shorewood Development Group. Cassa said there were 196 attendees at the luncheon – a record high.